After an intense workshop series that expanded over the course of two weekends plus research excursions during the week, the participants defined their interests and finalized their ideas to develop community project proposals. These projects will be presented at the final show as various prototypes that tackle inclusion in different ways. We explored the subject of inclusion through prototyping labs, where I taught participants the use of various electronics and sensors, encouraging them to think of ways that use interactivity to create new experiences of empathy and inclusiveness in community. We played with LEDs, microphones, and tactile sensors and broke out into rapid prototyping exercises where the participants had to think fast and design quick devices throughout the lab. As the learning continued, I introduced the participants to various ethnographic techniques common in design research including Ideo.org’s Human Centered Design approach to prototyping. This is what’s known as “design thinking,” but I’ve applied the same principals to “art thinking,” allowing the participants to learn, research, brainstorm and prototype with the goal of creating community art projects that tackle issues around inclusion. An approach like this helps ensure that these projects really matter to the communities that they are created for, addressing issues through mutual understanding and co-creation. 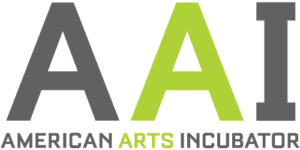 Along with workshops and discussions, the program included meetings with the curators of the exhibition Co-Thinkers, disabled visitors, and the staff of Garage’s Department of Inclusive Programs. At the end of the lab, four groups of participants came together to create projects, each focused on a different aspect of inclusion: raising awareness about inclusive practices in museums; facilitating cooperation within communities; discovering new leisure opportunities; and developing new experiences for people with and without disabilities. The groups are already hard at work turning their proposed ideas into tangible prototypes for the final event on April 22 where they will showcase their ideas to the public. The sensor quest group with their project entitled “Everydayness” looks at the daily challenges and limitations brought about by disabilities. The group is working on creating various interactive art “quests” that guests perform and are guided through. These experiences allow for interactions that mimic the kinds of limitations encounted by persons with disabilities, allowing for empathetic exchanges between those with and without disabilities. 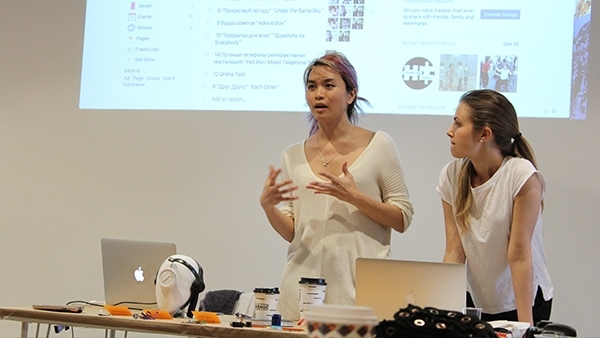 With their project entitled “Emotional Clothes,” another group is working on wearable prototypes that allow users to communicate with their bodies through color, light, or vibrations. They hope to address issues of initial prejudice and help people perceive and focus on emotions first, allowing this interaction to be the forefront of human conversation and perception rather than bias and assumptions of another based on appearance. Creating improved, customizable, and aesthetically pleasing wheelchairs is the goal of the next group with their “Traveller on a Wheelchair” concept. This group is focusing on gadget creation specific to the needs of those in wheelchairs, allowing them to travel independently through a “guide” app and prototypes specific for the wheelchair. From the research and interviews done at Preodolynie Rehabilitation Center, the participants were able to see the needs, dreams and hopes these people in wheelchairs have — some aspired to be filmmakers while others danced and lived active lives. The project aims to expand thinking about possible gadgets and creations that facilitate freedom in community. Lastly, the “Art To Be Open” project will be a mobile and internet platform app that creates an accessible database of all the inclusive programs and accessible locations throughout the city of Moscow. Users will be able to find information on the accessibility of cultural institutions through the platform. This group also plans to create a data visualization through a sculptural installation, in conjunction to the app, that visualizes Moscow’s museums and highlights their levels of inclusion and accessibility.